Posted on May 31, 2018 at 1:03 am. Guts.com’s June Madness promotion offer runs from 00:01 CEST on May 31 to 23:59 CEST on June 7. 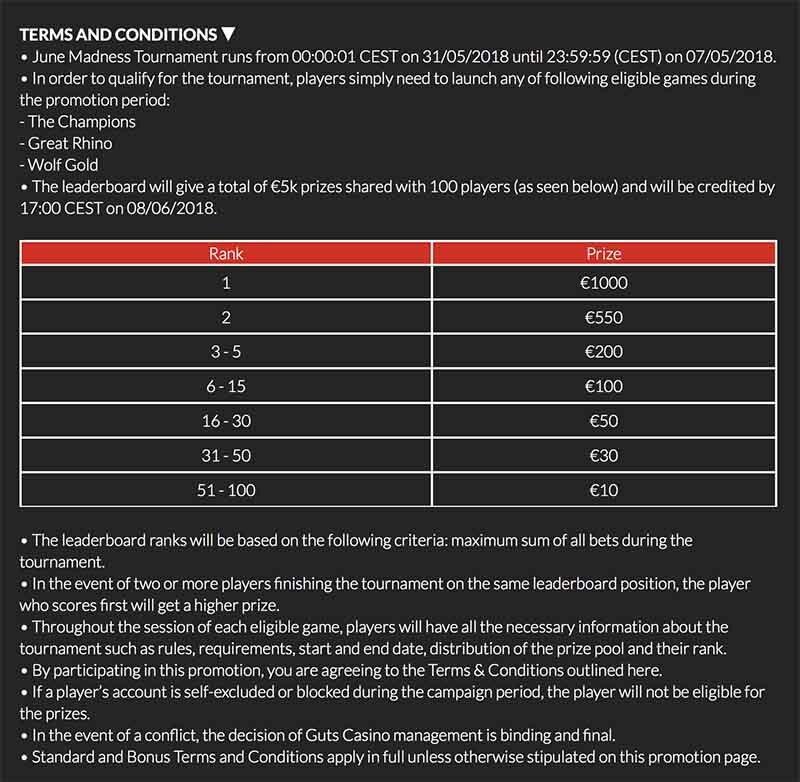 Players can win a share of €5,000 including a top prize of €1k, which is fantastic considering this tournament costs nothing to enter. How does the promo work? Customers will be asked to play on any of the three eligible games (The Champions, Great Rhino & Wolf Gold). The requirements to meet in order to be ranked on the leader-board is: Highest value total of all bet amounts – Maximum sum of all bets during the tournament. There is no minimum bet value required to be eligible for the tournament. * 18+ Gamble Reponsibly. See below for full Ts and Cs.